One of the popular professional football Player is named as Antoine Griezmann who plays for Atletico Madrid and France National Team. He is one of the well known French celebrity. He is famous for contribution to professional life. He plays in the forward position. Currently, he is playing for Atletico Madrid. He had played for Real Sociedad. His Shirt number is 7. Mbappe is one of his best teammates. He had represented himself in Russia for the World Cup 2018 as a part of the national team by showing his talent to all. Antoine Griezmann scored a stunner goal in the 69th minute for Atletico against Leganes yesterday. However, it wasn't enough for his team to clinch 3 points from the Leganes. Guido Carrillo scored for Leganes in the 82nd minute, and Atletico Madrid weld held draw 1-1 at the end of the game. Currently, Atletico Madrid stands at 2nd position, 1 point behind Barcelona in the La Liga table with 21 games. However, Barcelona has a game in hand against Rayo Vallecano later today. Griezmann is not going in his best form and has only scored 3 goals in 11 La Liga matches so far. He can play as the main striker, attacking midfielder, or as a winger on either flank. Passionate and enthusiastic player, Griezmann was born on 21st March 1991. He was born and raised in Macon, a city of France. He is the son of Alain Griezmann and Isabelle Griezmann, his father and mother. His nationality is French. His astrological sign is Aries. At a small age, he began his career with football. He started his career by joining hometown club UF Macon. Griezmann has got a great personality. Talking about his body, his height is 1.75 m. His weight is of 69 Kg. He has a balanced body with good health. He has an attractive body figure. His smiling face and charming personality have helped him to gain the attention of all the viewers. Griezmann started his professional career by joining Real Sociedad youth system in 2005. 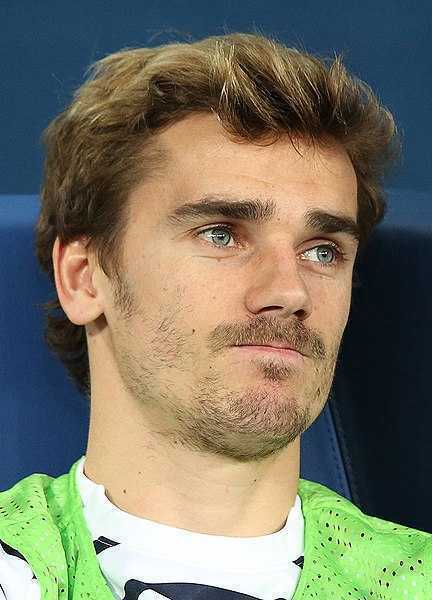 In the year 2009, Griezmann was promoted to the senior team. In the year 2009, March he made his competitive debut against Rayo Vallecano in the Copa del Rey match. Griezmann helped his team to earn promotion to La Liga at the end of his debut season. Later, he signed to his first professional contract on 8th April 2010 with the club for 5 years with the fee of around $40 million till 2015. Then, he made his first debut goal with the winning score of a 3-0 win over Deportivo La Coruna in October 2010. He played 5 seasons for Real Sociedad. He appeared in 180 matches and scored 46 goals. After playing for Real Sociedad, he transferred to the Spanish club, Atletico Madrid in July 2014 for a transfer fee of $36 million. He made his debut for the club in a 1-1 draw against the Real Madrid in 2014 Supercopa de Espana on 19th August 2014. He scored his first La-Liga hat-trick goal against the Athletic Bilbao on 21st December 2014. Later, he extended the contract with Atletico Madrid until 2023. He scored 116 goals for the club in 151 appearances till now. He is the main player of Atletico Madrid that played final against Real Madrid in the UEFA Champions League 2015-2016. He was rumored to make his move to another Spanish club Barcelona ahead of 2017-18 La Liga season. 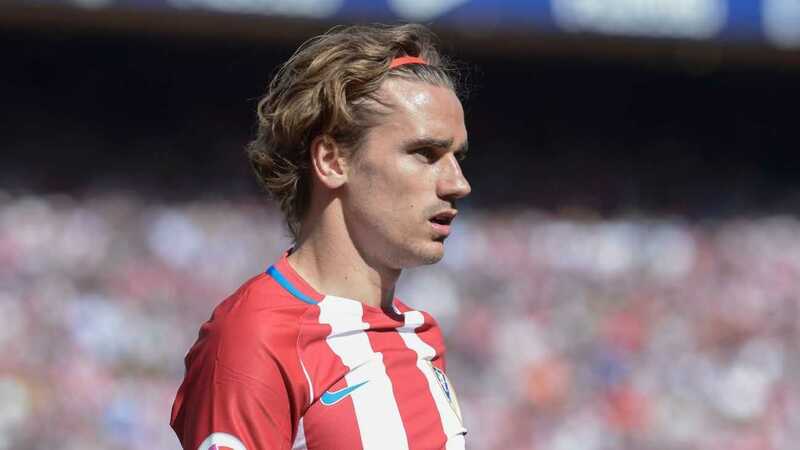 However, Griezmann rejected to move to Barcelona. He has won many individual awards. He had represented France national team in both senior as well as junior levels in many tournaments. Griezmann represented his nation at U19, U20, and U21 level. He was also the member of the French team that won the 2010 UEFA European U19 Football Championship. In 2014 FIFA World Cup, he scored his first international debut goal in a 1-1 draw against Paraguay. He was also enlisted in the squad of France national team for 2018 edition of FIFA World cup in Russia. He had played altogether 7 matches throughout the tournament and scored altogether of 4 goals in this World cup. He was also the member of the French team that won the World Cup 2018 Russia. He is the recipient of FIFA World Cup Bronze Ball and Silver Boot at 2018 FIFA World Cup in Russia. Griezmann is a married man with Erika Choperena, his girlfriend. They started dating in 2014. They celebrated their wedding ceremony secretly at Toledo on 19th June 2017. In April 2016 they welcomed their first daughter. They seem to be very happy with each other. The couple makes public appearances together often. There is no any sign of Separation between them. They are living peacefully. This excellent player makes good money from his work. The net worth of Griezmann is estimated to have $21 million as of 2018 with all of his properties and incomes. He is receiving an annual salary of $12 million from his present club. He earns a weekly salary of £200,000. He is the highest paid player in Atletico Madrid. He is satisfied with his earning.